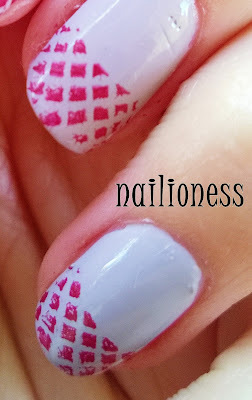 Today I'm gonna show you my latest stamping manicure. It is a lace pattern. 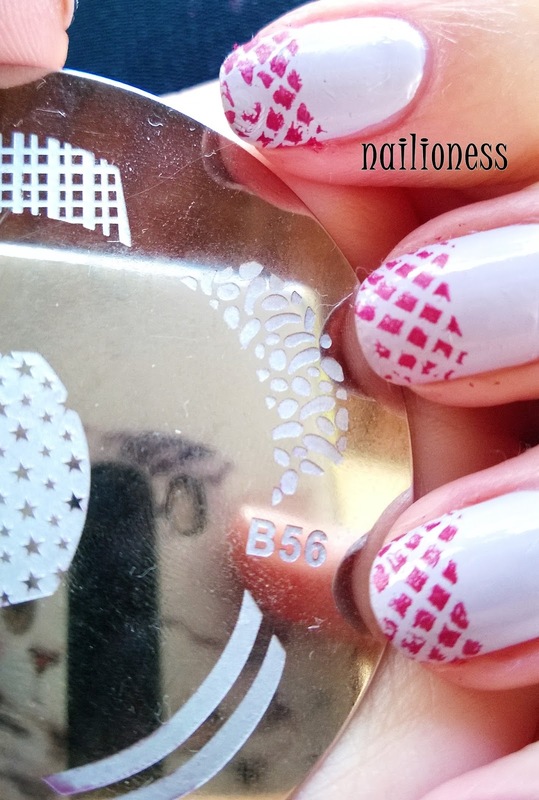 If you are new to the stamping technique, you can read my HOW TO DO STAMPING NAIL ART post. 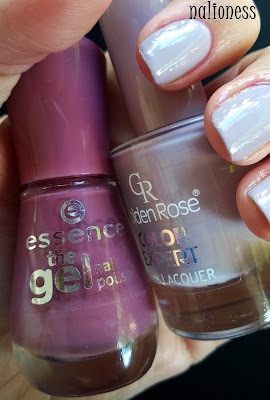 I used Essence Gel nail polish 67 Love Me Like You Do and as a base coat Golden Rose 10 . 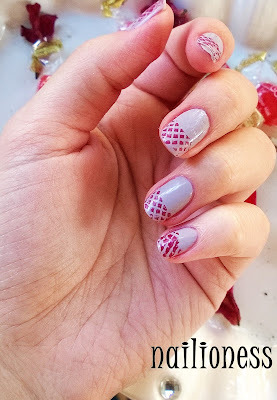 I used the stamping plate I bought from Aliexpress . 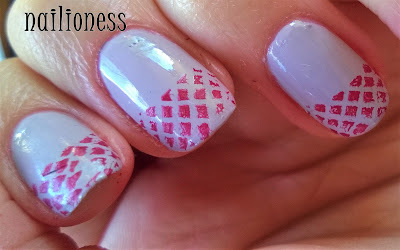 As you can see the pattern didn't come as perfect. 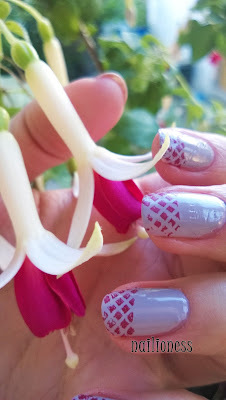 I wanna buy more beautiful stamping plates. Although the pattern isn't good, it looks OK.
Hope I will do better manicures.